It's 7 months since your lovely baby came into this world. Are you having a great time babbling to your little one and cuddling them close to your heart? By this time babies would have started crawling, at least on the tummies, if not on all four. They will also tend to become more independent and adventurous, especially with what they put in the mouth. There are lots of developments taking place in your baby physically, socially and emotionally. Read on to learn about them in detail. At 7 months, your baby is a master at grasping the smallest things lying on the floor. Their first impulse is to pick it up with their tiny fingers and put it in the mouth. Time to be extra careful mommies! Around this time, most babies sprout the tiniest teeth. Some take longer but the teething process begins by this time or even earlier leaving your babies with sensations in their pink gums. Sit without support: Your baby’s back muscles have become strong enough to support their sitting posture. You will often find babies supporting themselves on their hands while rocking back and forth – this is their preparation for moving. Beginning to crawl: By the 7th month, the muscles gain enough strength to support the baby’s movements. 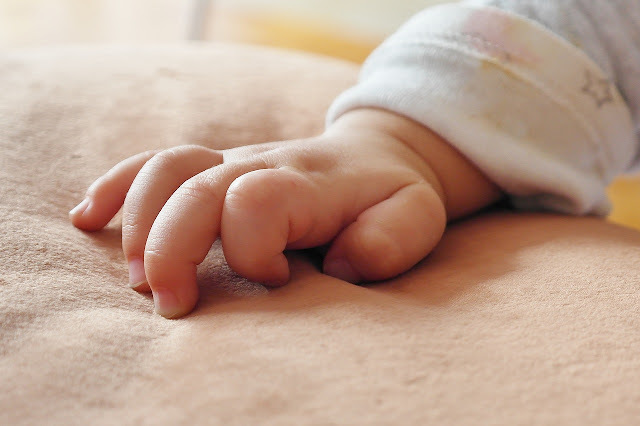 Last month your baby was probably trying to crawl, but by the end of this month, most babies are able to move on their fours, pushing forward in a crawl. Some kids may take a while longer, but as long as the desire to crawl is there, you have nothing to worry about. Bouncing on their back: As babies learn to sit unsupported, they enjoy the feel of the weight of their body on their feet. Play a song or just sing a rhyme, and you will notice your little one bouncing with her tiny bum while the feet are folded behind. Doing this often will strengthen their leg muscles encouraging them to master another important milestone in a few more months – walking. The pincer grip: All this while your little one was using all the fingers to grab objects. Now they learn the art of using the thumb and the forefinger to pick up tiny things. It looks a lot like a crab using its pincers. Hence the name, pincer grip. Improved digestion: Babies by the 7th month are ready to start on some form of solid food as their tummies are getting ready to digest solids. Start with a tiny blob of mashed banana or applesauce to get them used to new textures of solid food. Understands the concept of permanence: What do you do when a baby tries to take an object that may break or be misplaced? You quickly take it and like a magician act like it’s gone. It was an easy trick till now, but soon your baby will understand the concept of permanence and try to seek it out from you. Their brain cells are growing at a rapid pace helping the tiny tots to make meaning of this world little by little every day. Babbling words: Their babbles still don’t make much sense, but by this time they have formed impressions about certain favorable things around them. For example, when you call out ‘mamma’ babies will try to look for the mother, or when you say ‘fan’ they will look up to see the object that they associate the word with. Meaningful laughing: Your baby is able to differentiate between funny and serious notes. They are beginning to understand what is funny and react by laughing to funny sounds and expressions. Say a fun joke in a serious tone, and you will see the laugh disappear from their cute faces. Stronger emotional attachment: Babies by this time have grown emotionally attached to their mothers or closest caregivers. They feel secure and relieved when they are close to them and may throw a crying fit if a strange face comes in front of them and tries to hold them. But the intensity of the stranger anxiety varies from baby to baby and some may give in to a stranger with a little coaxing. Help them explore food textures: Give them finger foods such as a ripe avocado or a banana that wouldn’t take much effort to chew or swallow. Try to include babies during mealtimes so that they understand the idea of eating and chewing. 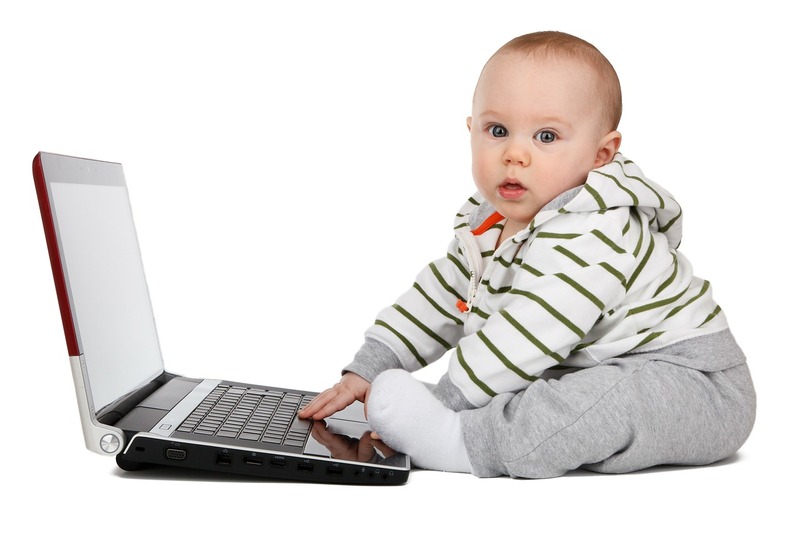 Whether you see immediate results or not, babies learn a lot by observing their surroundings. So when they watch parents eating, they learn to do the same. Tell stories: Your baby does not know the meaning of words as yet, but they definitely understand tones. So tell them stories in an animated way sounding happy, sad, frightened and surprised. Repeat the stories so that babies learn to express emotions in the near future. Imitate animal sounds: Babies are growing interested in animals and they feel excited when the sounds that you imitate are made by the real animals. In another few months, your baby will be able to make those sounds themselves. This is a great time to bond with your child and talk with love. Babies are receptive to warmth and love and will respond with joy when you coo and babble to them.